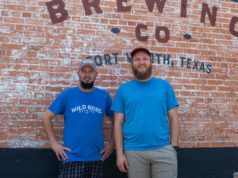 Tarrant County feels like a hotbed of craft beer activity these days, as evidenced by the thousands of patrons who frequent Rahr & Sons, HopFusion Ale Works, Wild Acre, and other local breweries and brewpubs each week. But much of that growth has been Fort Worth-centric. Until recently. 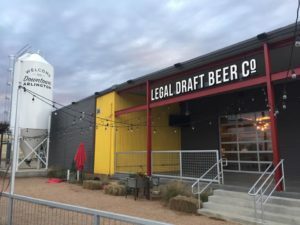 Arlington-based Legal Draft Beer Company is a newish production brewery and taproom that is churning out high quality suds. I recently sat down with Legal Draft co-founders and owners Greg McCarthy and Curt Taylor. McCarthy is a retired lawyer while Taylor comes from an accounting and sales background. As I found out, the duo are longtime neighbors and live only minutes from their new business venture. After opening last July, Legal Draft beers began hitting shelves across North Texas thanks to a decision to invest in a canning line early on. While many upcoming ventures (Cowtown Brewing, New Main, Turning Point) are opting for a Brewpub license, Legal Draft had bigger ambitions. Often confusing TABC laws restrict breweries from selling other businesses’ brews, offering beer to-go, and providing growler fills. Many of those restrictions are the focus of ongoing lawsuits. 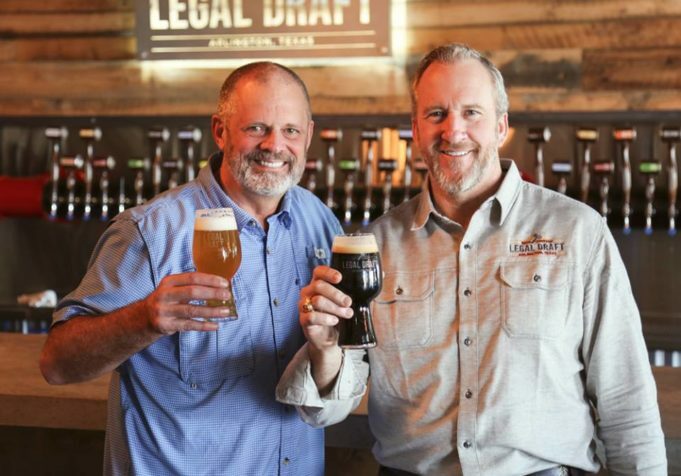 McCarthy and Taylor are quick to credit their staff and sales team for the relatively smooth rollout that now has Legal Draft beers available in every Texas county. With more than 40 years of brewing experience, Legal Draft’s brewmaster Henryk Orlik comes with a storied pedigree that includes Big Bend Brewing and Abita, among others. Orlik “is the reason we have quality suds,” Taylor said, noting that Ezra Cox, the “Wizard of Wort,” now manages Legal Draft’s brewdeck. 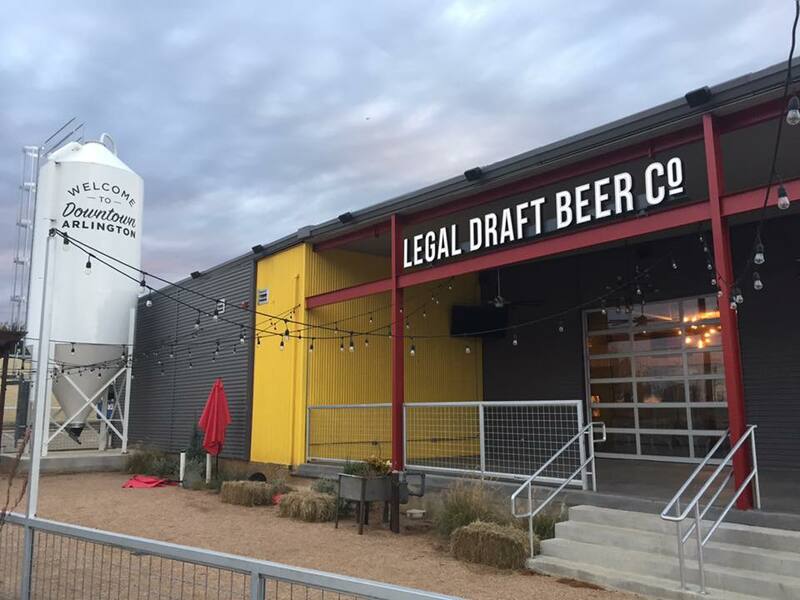 The Arlington brewery initially built its brand on five core beers: Legal Blonde Lager, Accused Amber Lager, Chief Justice Stout, Hung Jury Hefeweizen, and Presumed Innocent IPA. I had the pleasure of hoisting a few new brews too, including Bock Trial, a rich doppelbock, and Smash and Grab IPA, a single hop IPA that’s citrusy and well-rounded. I would be remiss if I didn’t describe some cool developments nearby. Formerly part of a Luke Pontiac facility and showroom, Legal Draft is the first tenant at an up-and-coming, mixed-use development called Urban Union. With trendy restaurants and bars (included The Live Oak) moving in nearby, McCarthy said he’s excited to be part of the growth. The Legal Draft team is making plans for their one year anniversary party, slated for July 22. An outdoor sidestreet will be completed by then that will allow beer revelers to spill outside Legal Draft’s pristine taproom space if needed. 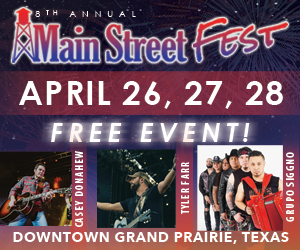 Expect a top-notch music lineup and food vendors. Taylor said his staff will be focused on distribution and logistics as Legal Draft works to feed a Texas-sized appetite for craft suds. Tours & Tastings are 4-8pm Thursdays and Fridays and noon to 6pm Saturdays and Sundays. 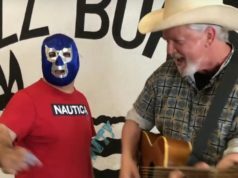 Last year’s inaugural El Fuerte, the Fort Worth Taco Festival, sold out in record time, as 1,500 taco-crazed locals gorged great food and beer during the daylong celebration. 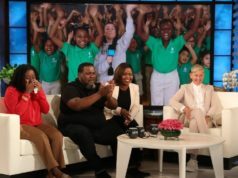 This year’s celebration of Cinco De Mayo at The Shack at Panther Island Pavilion promises to be even bigger and better. Rahr’s May 3 event includes a limited-edition Cinco de Mayo pint glass, three Rahr & Sons beer samples, music from Tejano band Latin Express, and food available for purchase by Taco Heads. Flying Saucer Fort Worth is your headquarters for Cinco De Mayo celebrations! We will offer complimentary chips and salsa, and we’ll serve quesadillas as our daily special. We will also be serving Ska Mexican Lager and Full Sail Cerveza As the Fire Sales.